Sometimes companies that you own make distributions that are eligible for special tax treatment and do not have to be reported as regular dividend income. This is a different type of distribution from regular return of capital payments that come from dividends paid in excess of accumulated earnings and profits of the corporation. 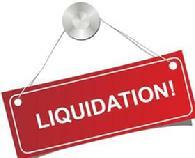 For complete liquidations (that meet IRS definitions), no gain is realized until all of your cost basis has been recovered. Payments received are first recorded as return of capital and then any payments in excess of your adjusted cost basis are capital gains. After the final distribution has been made, if all your cost basis has not been paid back, at this point you can claim a capital loss for the remainder. For partial liquidations (that meet IRS definitions), it is treated as a deemed redemption of stock (even though no shares are surrendered.) Each payment received is therefore a partial return of capital and a partial capital gain or loss. The return of capital percentage is determined by dividing the distribution received per share by the market price of the stock before the distribution. Take this percentage times your adjusted cost basis to compute your return of capital. The rest of the payment is capital gain. To be eligible for this special tax treatment, a partial liquidation must be paid to a non-corporate taxpayer, must not be essentially equivalent to a dividend, must be made pursuant to a plan of liquidation, and must be paid by the end of the next tax year after the plan is adopted.